No matter how careful you are, it’s easy to pick up scrapes and scuffs on your car bumpers. It could be from tight parking spaces or reversing out of a narrow garage. And rear bumpers are susceptible to damage from loading heavy luggage in the boot, or scratches caused by dog claws as your pet gets in and out. With most modern cars having painted bumpers, these scrapes can soon start to look unsightly, as well as affecting the resale value of your car. Fortunately, there are plenty of protection products available, designed to shield your paintwork from damage. Here is our guide to bumper protectors for your car. 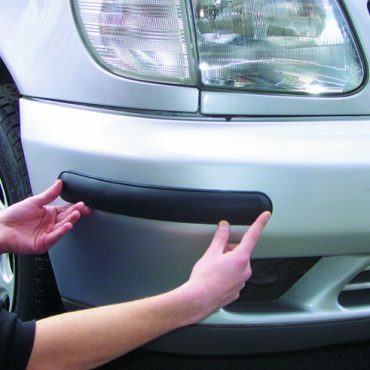 These simple protectors are designed to cover the corners of your bumpers and look like part of your car’s trim. They are sometimes called protector strips, and work by shielding bumpers from the scrapes and scuffs that you might pick up in car parks. They can be made of rubber or flexible PVC and will conform to the shape of your bumper, making them suitable for most cars. They come in a few colours, usually black and silver chrome, and some transparent protectors are also available. They attach to your car with self-adhesive backing and can be easily installed at home. You can also buy this type of bumper protector on a long roll which can be cut to the desired size. This product usually comes with end caps to keep the ends in place. 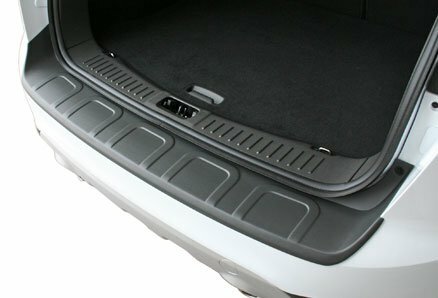 It can be fitted across the front and rear bumpers, and also along the crease of the doors if needed. 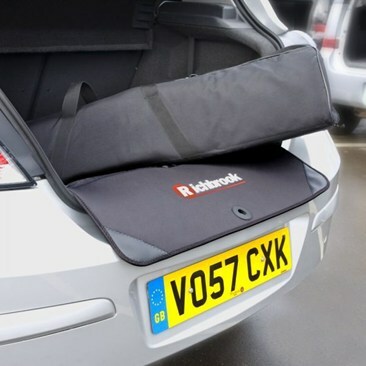 Try Richbrook bumper protectors from Halfords. Rear bumper protectors are sometimes called bumper guards. They sit on the top of your rear bumper, shielding it from damage caused by loading items in and out of your boot. This includes bulky, heavy and awkward things like prams, golf clubs, DIY gear and suitcases. 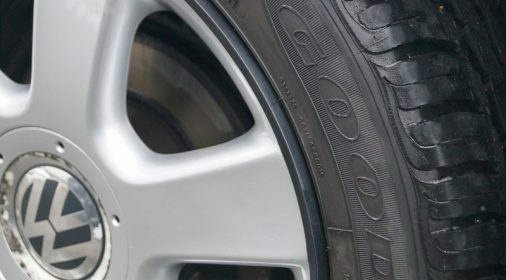 They are also recommended for dog owners, to stop dog claws scratching the paintwork as they jump in and out of the boot. Bumper guards fix to the top of your rear bumper and can be easily installed at home. You don’t need any special tools – they are usually fixed on with automotive tape, and some models can also attach to existing bolts or fittings. Rear bumper protectors can be made of stainless steel or high-impact ABS plastic. They should be designed to fit your car model specifically – there’s a wide range available online. Browse products from Rearguards and Travall. These bumper protectors work like the bumper guards above, shielding the top of your rear bumper. However, instead of being attached to the bumper, they attach to the inside of the boot with Velcro and fold out as a flap. You simply roll them out when you want to load the boot, and fold them away again when not in use. Flap guards can be made of rubber or a neoprene fabric. They are great for drivers with pets who don’t want a permanent bumper guard fixed to their car. Before you buy, check that the flap guards will fit your car well. Some products claim to have a “universal fit” but these are often too narrow for the wide boot openings in SUVs. Try Richbrook bumper guard from Amazon. You can also buy a bumper protector film, which is usually clear. This is applied over the surface of the bumper to protect from light scratches and scuffs, including scratches from pet claws. The transparent film allows the original paint colour to show through and can be easily removed. Most kits are simple to apply, with self-adhesive backing and can be cut to the shape of your bumper if required. Try the film from Invisible Patterns. Bumper protectors can shield your paintwork, but if you already have scratches it might be easier than you think to fix them. 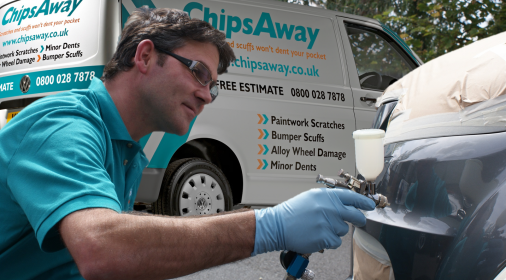 ChipsAway offers professional bumper scuff and scratch repair. Our specialist technicians use our pioneering SMART repair techniques to only repair the damaged area, rather than the entire panel, making our repairs quick and cost-effective. Fill in our online form for a free, no-obligation repair quote today. 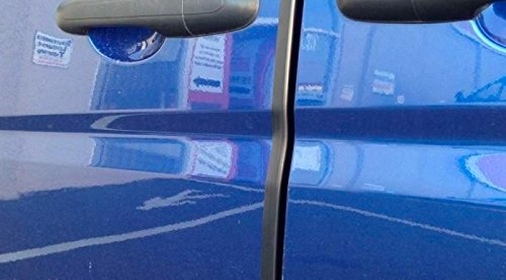 Want to get protect your entire car’s paintwork? Find out more about Supagard paint protection film here.